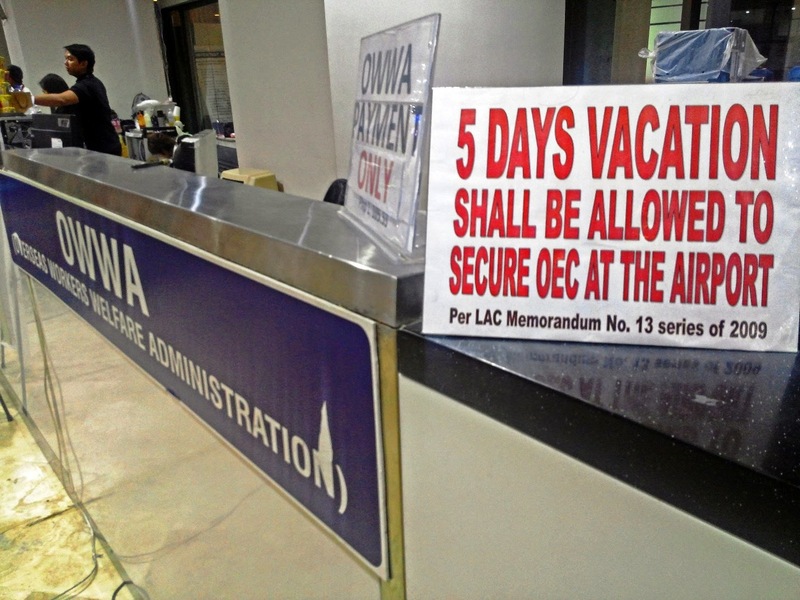 expediting the Overseas Employment Certificate (OEC) process to return to country-of-work. 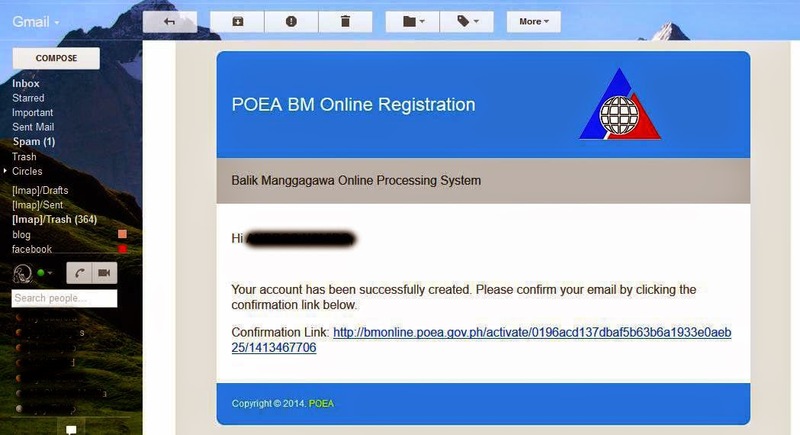 “BMOPS” refers to POEA Balik-Manggagawa Online Processing System. 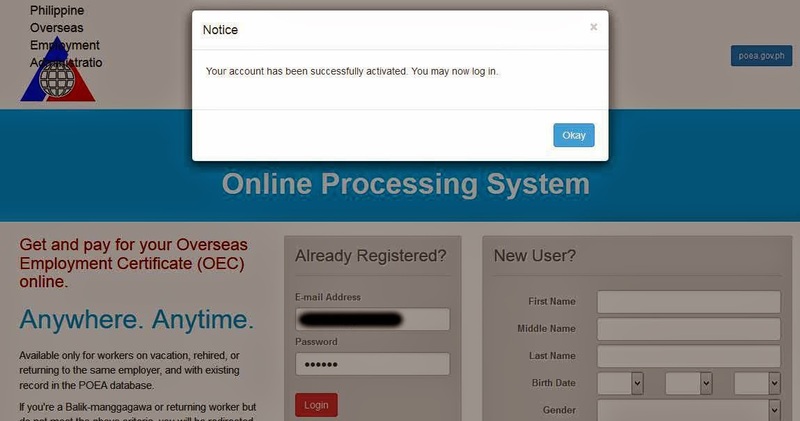 “eOEC” refers to the Electronic Overseas Employment Certificate generated from the use of the BMOPS which will serve as the travel exit clearance and tax and terminal fee exemption certificate. 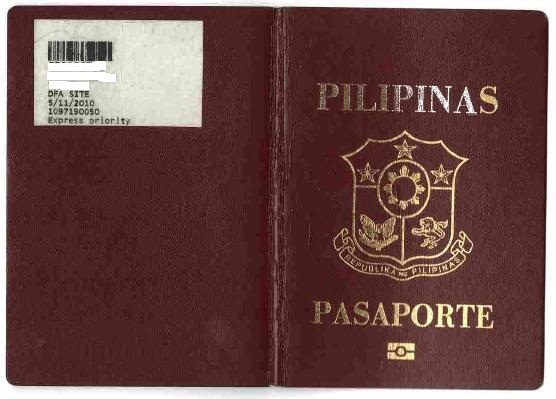 "Overseas Filipino Worker or Migrant Worker” refers to a person who is engaged, or has been engaged in a remunerated activity in a state of which he or she is not a citizen. The aim of this service is to expedite the processing of BM workers who wish to return to their country-of-work. 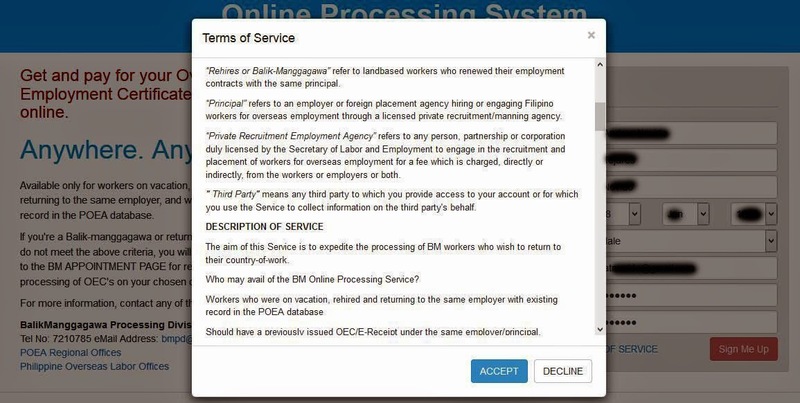 BM Online Processing Service can be availed by Overseas Filipino Workers who were on vacation, rehired and returning to the same employer with existing record in the POEA database. BM workers who do not have a previously issued OEC/E-Receipt under the same employer/principal will be directed to the APPOINTMENT PAGE for regular processing of the OECs on their appointment date and time. 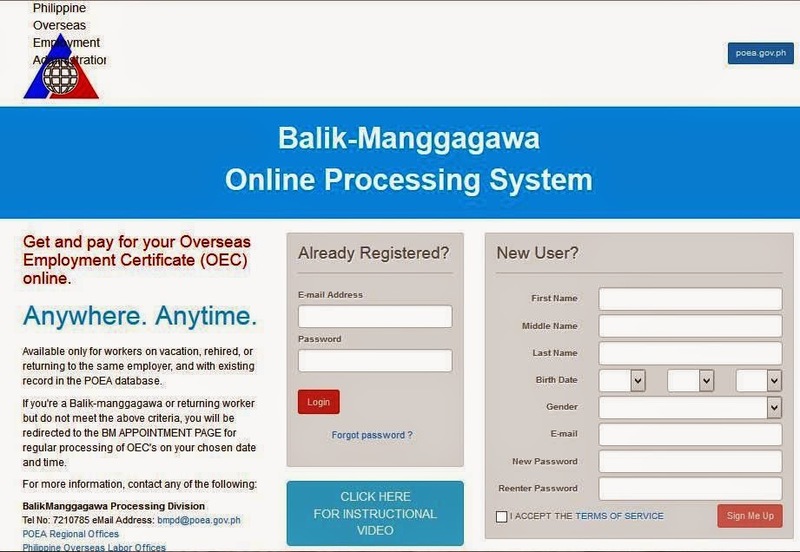 Once signed-up, you may gain access to the online processing, payment and issuance of eOEC without the hassle of having to fall in line or getting a number and wait for your turn. STEP 1: Go to http://bmonline.ph/. The window pops-up per image below. If New User, fill-up the form then tick "TERMS OF SERVICE", image below will show. Click "ACCEPT". A window will show per image below after you click "ACCEPT" per Step 2. STEP 2: Go to your email then click the Confirmation Link as seen below. A window will show per image below after you click the confirmation per Step 2. STEP 3: If already have previously issued OEC, enter OEC Number. If the OEC Number is not recognized, click "CLICK HERE" to set an appointment and fill-up the form per image below. Fill-up the form per image below. 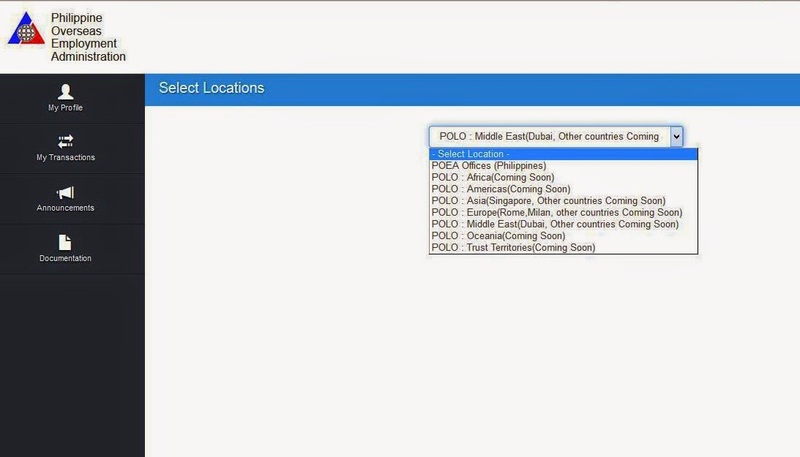 STEP 4: After finishing the form as per Step 3, click the "NEXT STEP". 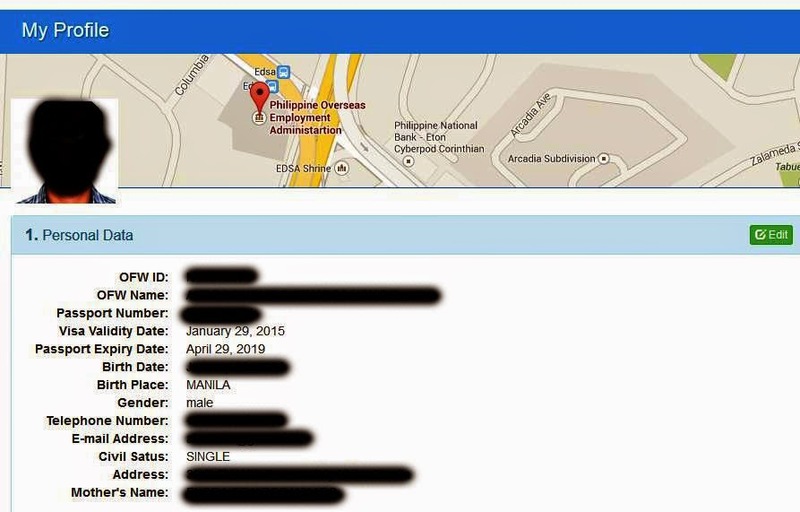 Please be advised that BMOPS is applicable only for POEA Offices in the Philippines so far per image below. Updates in offices abroad to follow. Choose your desired appointment location and schedule. 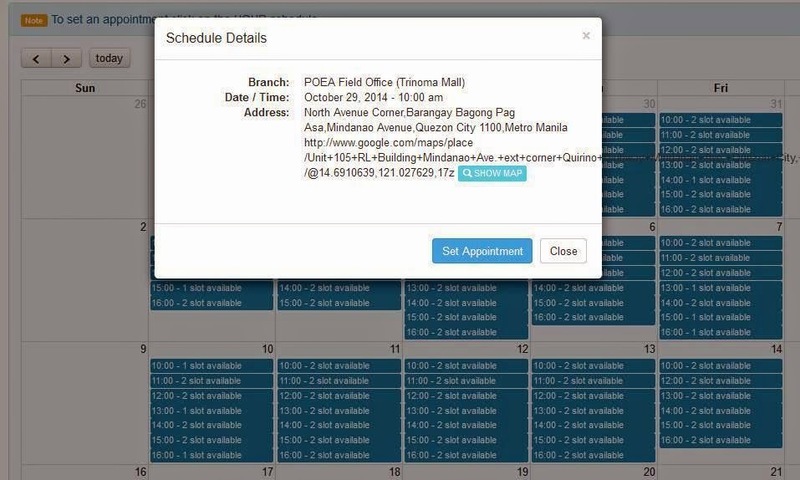 Once you click desired schedule, a "Schedule Details" will pop-op to confirm your appointment.